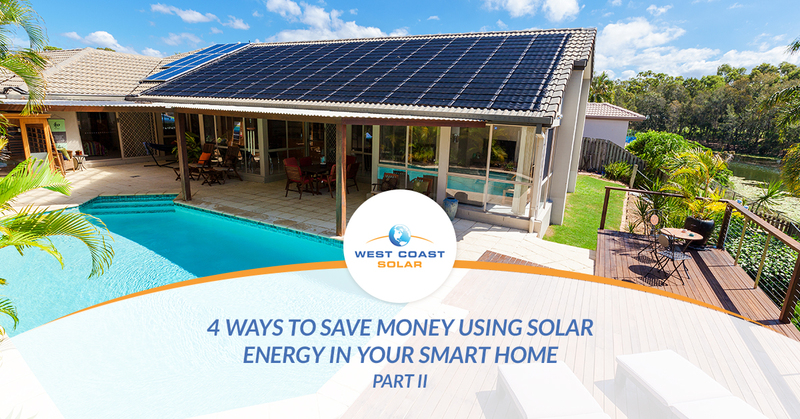 Whether you want to save money on energy use in your home or help reverse the negative carbon-emission effects on the environment, you’ll be achieving both when you switch to solar energy in your smart home. In part I of this series, we shared the first two ways to reduce energy costs and increase energy use efficiency with your heating and cooling unit and lighting. In the following post, we’ll discuss how replacing your appliances and upgrading your pool technology can save you even more. Continue reading to learn how you can increase your home’s energy efficiency. Did you know when you’re not using your appliances, they still draw energy? Most homeowners are unaware of this about their appliances. The common understanding is that if something is off, it does not use energy. This isn’t entirely true. Find high-efficiency appliances that fit your needs and replace your current appliances. The switch will help reduce energy usage while in use and while in the standby or off setting. The average home uses nearly one-fifth of their annual energy use via their appliances. If you own a pool, you could be using more energy with your pool pump than all your home appliances combined. Pool owners also prefer to heat their pool so they can enjoy it on the cooler days of the year. It’s important to keep your pool clean and heated properly. Purchase a timer or a programmer for your pool pump to use energy throughout the day in shorter intervals instead of letting it run all day. The shorter intervals will help keep the pump clean and use less energy. When it comes to heating your pool, consider a solar panel powered heating unit. The energy use won’t draw on your utility box, the unit will be independent, and you’ll be using clean energy, nullifying the cost to heat your pool. We’ve seen it more than once. A homeowner upgrades their home so they can get smart about their energy usage. The benefits are apparent, but they don’t consider solar energy at first. Then they hear about the extra savings they can get from using renewable energy. West Coast Solar gets a call from them, and we help them design the best solar power system for their home. Why not make this transition all at once and reap the full range of benefits from green energy and a high-efficiency home? We believe the savings and the environmental benefits are worth the switch. What can West Coast Solar do for You? After serving our Northern California customers for over a decade, we understand how solar panels can save you money. Not only can we help you design, plan, and install your solar system, we can also consult on upgrading the technology in your home to make it a smart home. Our customers have reported savings on their utility bills while feeling like they are in control of their energy usage. Give us a call today!